This historic room overlooks the gardens. 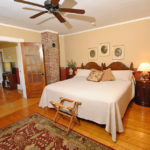 The large bedroom has a polished wood floor installed more than 150 years ago. 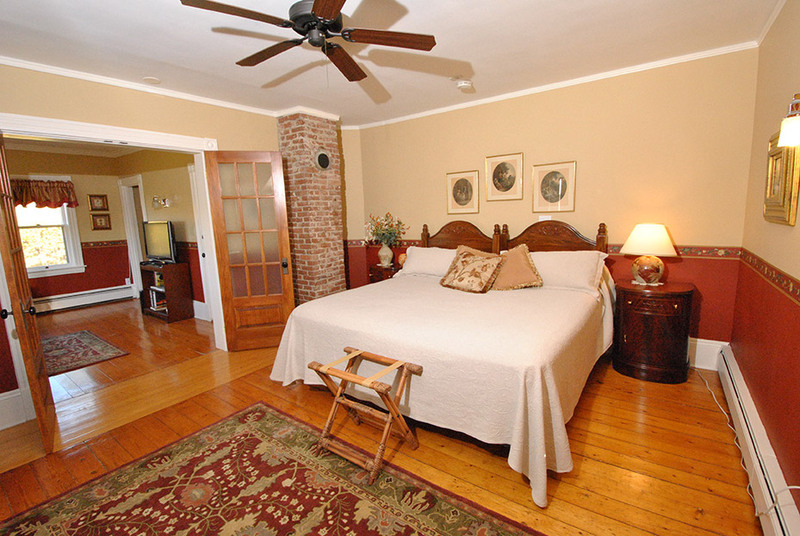 French doors separate the king size bed from the sitting room, with a full size pull-out couch. 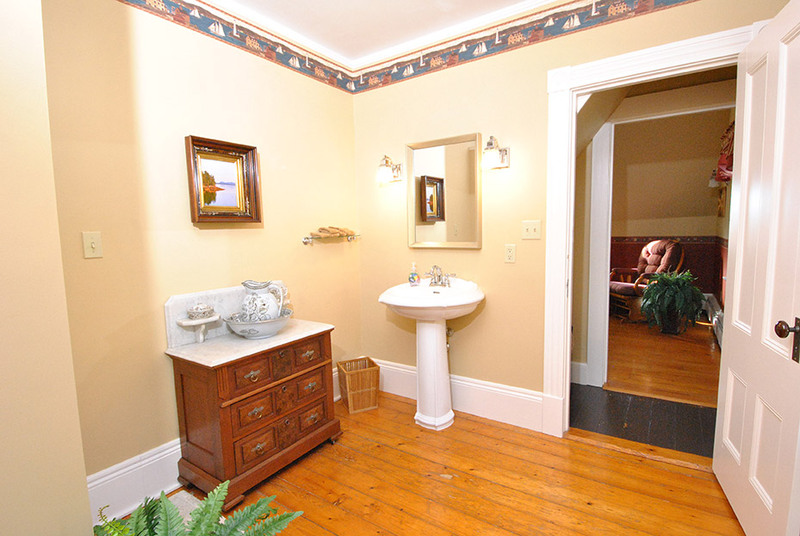 The private bath is spacious with a large shower. 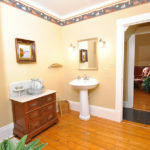 The suite is air conditioned with cable television, wifi and a fridge. Manor House rooms are on the second floor of the century old estate. 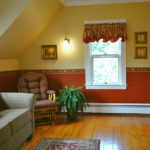 They combine top-quality mattresses with classic furnishings and Victorian charm. 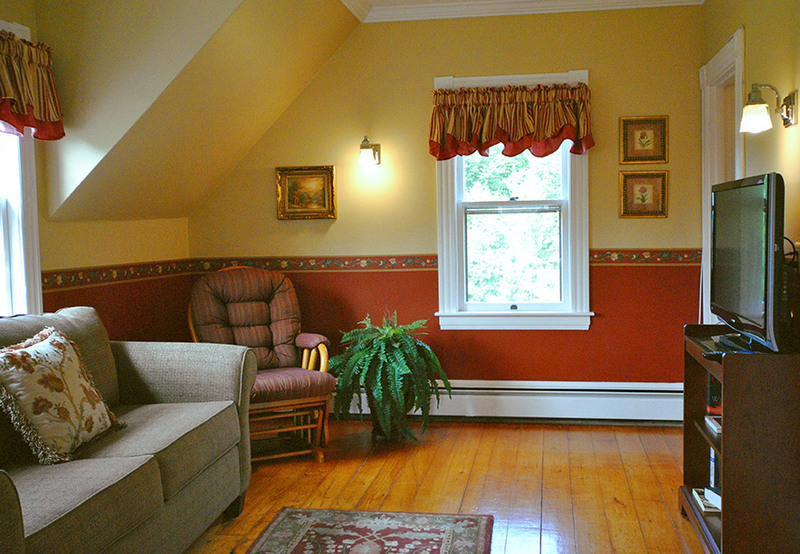 The living room, library and dining room are on the main floor.